Has it ever happened, that a thing struck your mind, something which was happening around you, or which you had known for a long time, but you actually did not know how or why was it happening? Yes, you probably had come across some situation. You keep such doubts on your to-do list, but you never actually go back to looking them out. Here are 10 such WHYs which you are doing or you know these happen, but you probably don’t know the reason behind them. 1 1. Why is there a leap day? 2 2. Why are the firetrucks red? 3 3. Why do babies cry? 4 4. Why does an apple a day keeps the doctor away? 5 5. Why are food logos red? 6 6. Why is the sky blue? 7 7. Why do we like music? 8 8. Why do humans sway their arms when they walk? 9 9. Why do the eggs we eat not hatch? 10 10. Why is smoking addictive? February 29th is known as the leap day. This date is seen after every 4th year. It is added to the calendar because the Earth does not orbit the sun exactly in 365 days, rather it is 365 + a quarter day, i.e. 6 hours. 2. Why are the firetrucks red? Well, this question has no definite or proven answer and also there are many jokes related to this. But the two most appropriate logical explanations are, one : red color has a high wavelength, so it can be seen from a long distance and so a fire truck can be spotted from a distance, two : red color is also a universal indicator for ‘danger‘ so people will clear way for it on spotting it. 4. Why does an apple a day keeps the doctor away? No, you can’t keep the doctor completely away with just an apple. No doubt an apple (not just apple, but other fruits have their advantages too!) is very healthy, and is helpful in controlling blood pressure, diabetes and even prevents many types of cancers. It also acts as a mouth cleanser, and has lots of antioxidants which keeps your brain active. But there are a lot of other diseases and ailments which can not be prevented or cured by diet alone! 5. Why are food logos red? The most famous theory behind the red color on logos of fast food chains, such as McDonald’s, Burger King, Pizza Hut to name a few, is that the red color makes people purchase more, and leave the restaurant quickly. It is also said after a lot of surveys that red color makes you more anxious and churns your insides so that you feel a crave for tasty and delicious fast foods. But few studies suggest that this is not true, and most brands want to stand out “brightly” so that people can instantly chose them on seeing their flashy logos! White light, including the sun-light, is made up of many different colors. The nitrogen and oxygen molecules, which forms the majority of the atmosphere, scatter the short wavelength colors of white light such as blue and violet to a greater degree as compared to colors of higher wavelength. Also, we see more of blue color and not violet because our eyes are more sensitive to blue color. 7. Why do we like music? It has been shown using brain imaging that when we listen to pleasurable music (or music that feels good to our ears), we activate the limbic and paralimbic regions of the brain, or in simple terms, blood flow rises and falls with the swells of music in those regions of brain which are associated with reward, emotion and arousal! 8. Why do humans sway their arms when they walk? Researchers have found an explanation to this in 2009, so it is pretty new for all. Our hands swing due to the inertia of motion which our body is set into, and this happens in a natural way. 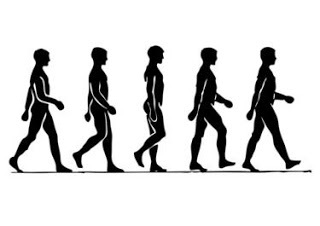 This way of walking is termed as the “most efficient” method of walking as our arms consumes least energy this way. If we try and keep our arms still, then we use 12 % more energy as compared to natural walking. Also, if you swing your arms in sync with your legs, then you waste 26 % more energy as compared to natural swinging. 9. Why do the eggs we eat not hatch? Chicken eggs are not same as chicken fetuses. In female humans, some eggs get fertilized and most do not, and the unfertilized eggs are expelled from the system. Similarly in chickens, those eggs which are unfertilized are expelled from the chicken’s body, but these are in the form of hard-shell eggs. Conclusion? Those eggs will never hatch! 10. Why is smoking addictive? Cigarettes contain nicotene, an addictive substance. This alters two chemicals in our brain, known as dopamine and noradrenaline, which alters our mood and concentration, and most of the people enjoy this feeling. These changes take place very quickly, and gives us an instant feeling of pleasure, reduces our stress and anxiety. This is the reason why most people become smoke addicts, because they like the “state” they get into. But the brain can adapt to the quantity you inhale, and soon you need to smoke more to get the same level of feeling. Previous story 10 Traits of a Gentleman. Do you have any of these? I totally did not know about the eggs. This is a great list. good list of things we say and see but have no idea whats the reason behind it.